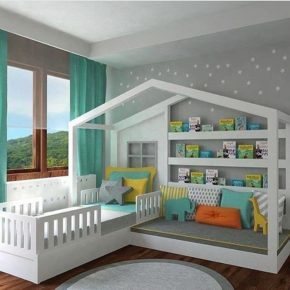 Your child will feel like fairy tale in this room. There is a stylized roof over the bed and the game nook with numerous stars above it. As though you find yourself in a fairy house with all favourite toys and illustrated books. White is mottled with lots of colour points. 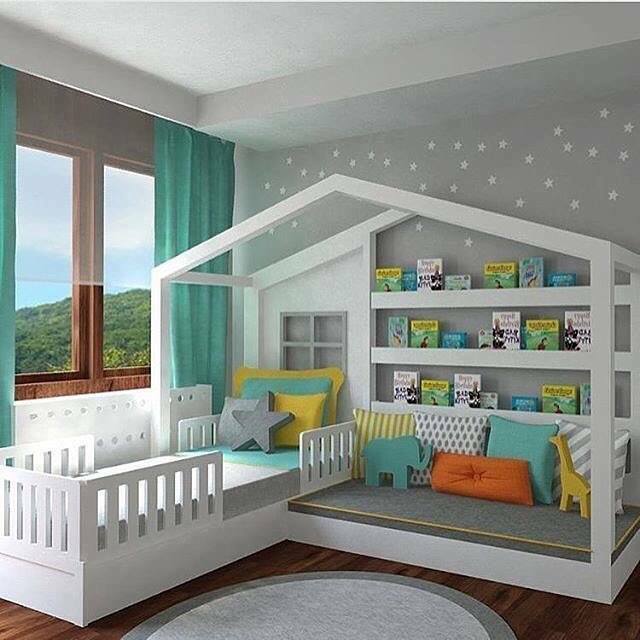 Here your child could have fun, study and grow in its fairy world, look out of the window to the outside life that is just above the bed. Give the kid some pleasure and happiness, the childhood is so fleeting but the pleasurable experience and memories last and give wings even in the hardest times.